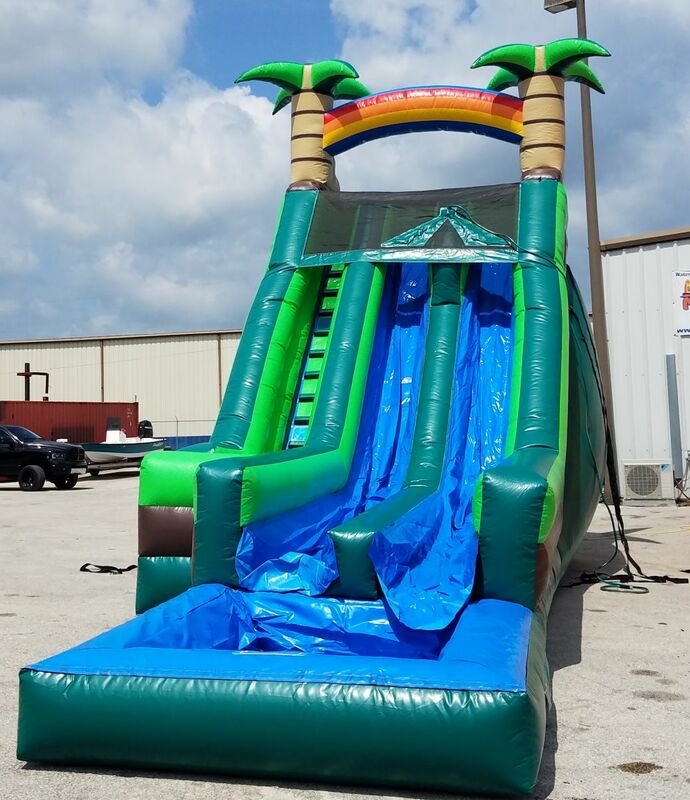 Giant palm trees on top and a longer than normal sliding surface makes this inflatable the best in the area. 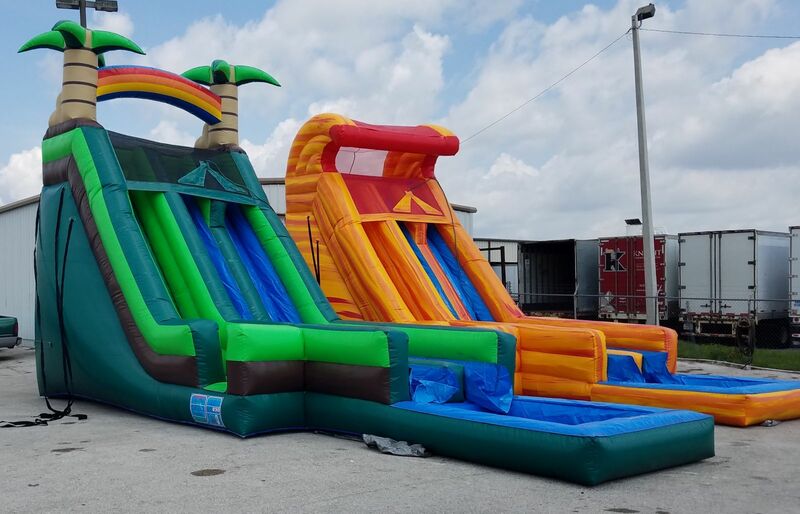 This inflatable water slide has a safety feature which keeps your guests from trying to jump over the top netting or jump down the slide. You CAN NOT stand up while at the top. Safety is our main priority and our longevity shows that we actually go the extra mile for your safety and to make your party trouble free.